The scene then shifts to one of a different tone. The appearance of Kuramas secretary Kisaragi serves as the only high section (2) of the scene injecting a dose of Cheerfulness that likely sets up a contrast with the emotions of Horror mixed with Nervousness from Section 1, creating a feeling of dread which is underscored by a tense section of guards preparing and an out of place Kisaragi with a cheery panda mug (3). Akin to this technique would be a scene of a raging tornado followed by a scene of a butterfly flying in a serene but increasingly windy meadow. This feeling of dread is confirmed when our metaphorical butterfly Kisaragi flys head first into our Tornado, Lucy. After having killed a number of guards, some of whom no longer posed a threat (4), Lucy gruesomely kills Kisaragi which likely evokes feelings of Anger (7) followed by Disgust (8). Lucy shows no mercy to the innocent, or respect for the dead using Kisaragis headless corpse as an unnecessary shield, perhaps to provoke Kurama. Kisaragi function is to access other emotions, and break up the overwhelming amount of Fear in the scene. We see her death is in a period of High Emotional Activity which we can see in the timeline from (5-9) and it evokes Rage and Disgust. Lucy then proceed to kill a number of guards and ultimately escapes from the prison (9, 10, 11). 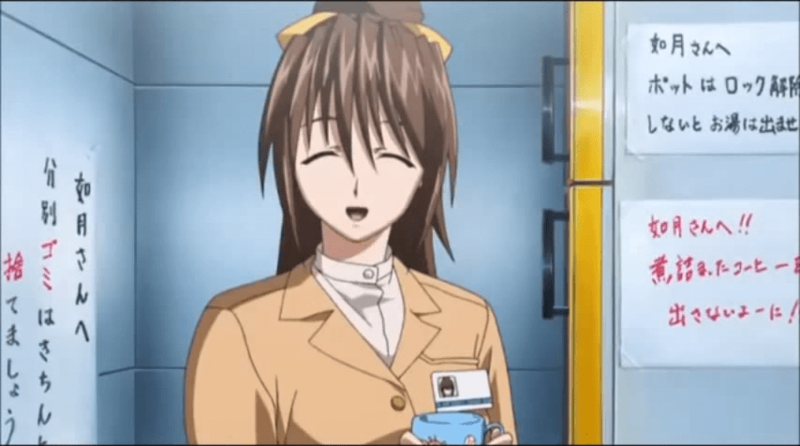 The opening scene at least leaves the viewer with a dislike of Lucy as well, and captures our attention with such dark imagery without context, leaving us curious, and it is Kisaragi who brings the most Emotional Variety to this scene, being the main cause for the scenes Rage, Disgust and Cheerfulness. Low Sections vastly outnumber High Sections in this scene in terms of both Screen Time and Totals making it a Low Scene. Fear makes up 73% in Totals, and is 17% greater in value in Screen Time, and from the Time Line we can see that we have more numerous, and longer periods of Fear than other Primary Emotions in this scene. We can see the inverse in Anger which makes up for 18% in Totals but only 3% in Screen Time which from the Time Line shows we have shorter and fewer sections of Anger in this scene. When we break down each of the Primary Emotions in Elfen Lied Episode 1 Scene 1 we find that from Fear, Horror and Nervousness were near equal in Totals, but in Screen Time Horror was 29% greater than Nervousness. Cheerfulness remained relatively equal, but Disgust and Horror received much less Screen Time in comparison to their Totals values. 1 1:30 – 3:13 Low Fear Horror Lucy breaks free. 2 3:13 – 3:39 High Joy Cheerfulness Meeting Kisaragi – Kurama’s secretary. 3 3:39 – 3:55 Low Fear Nervousness Security guards prepare. Kisaragi clumsy with happy mug. 4 3:56 – 6:15 Low Fear Horror Lucy kills lots of guards. 5 6:34 – 6:52 Low Fear Nervousness Lucy opens blast doors to see lots of guards. Kisaragiragi falls in front of Lucy. 6 6:52 – 6:57 Low Fear Horror Lucy kills Kisaragi. 7 6:57 – 7:03 Low Anger Rage Kurama orders many guards to open fire on Lucy. 8 7:03 – 7:09 Low Anger Disgust Lucy uses Kisaragi’s body as a shield. 9 7:09 – 7:26 Low Fear Nervousness Lucy begins counter attack. 10 7:26 – 7:35 Low Fear Horror Lucy kills guards. 11 7:35 – 9:02 Low Fear Nervousness Lucy gets trapped then is shot while leaving facility and falls. 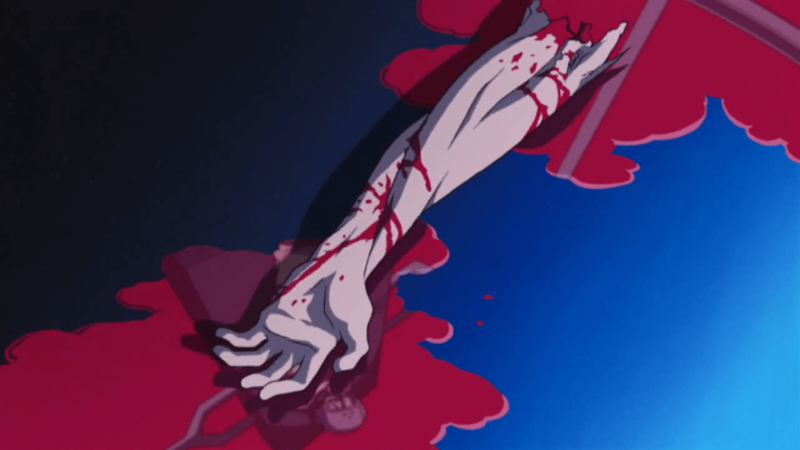 Statistics related to Totals in Elfen Lied Episode 1 Scene 1. Statistics related to Screen Time in Elfen Lied Episode 1 Scene 1.